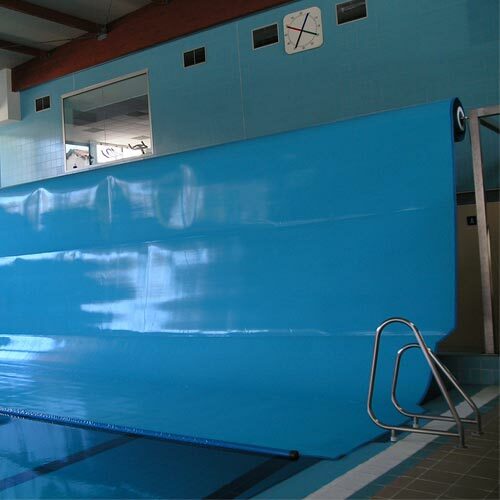 Covers with high resistance PVC or Polycarbonate extruded slats, ideal for both indoor and outdoor pools. 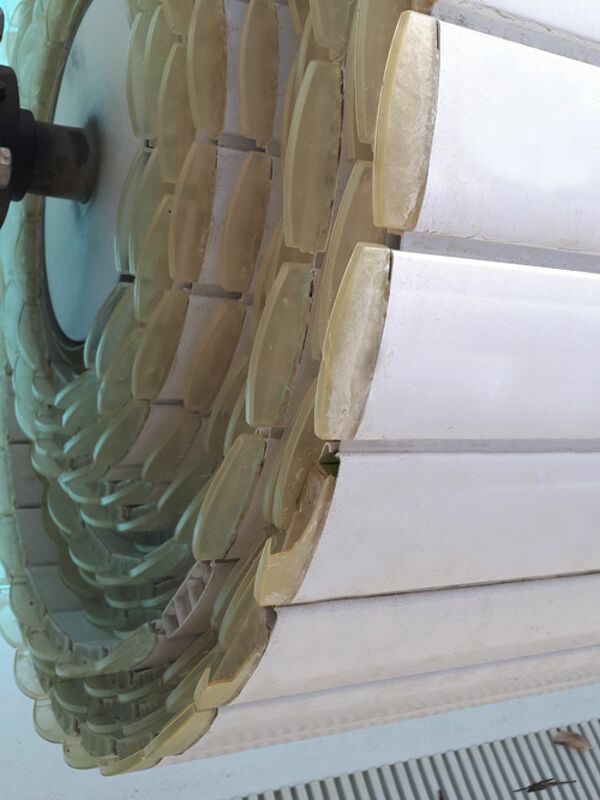 With three hollow chamber profiles sealed at the ends which ensure their buoyancy. 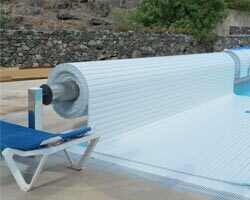 The Polycarbonate slats may be solar which cause the water to heat up due to the action of the sun and during the cold night periods, due to their insulating power, they prevent the loss of heat. 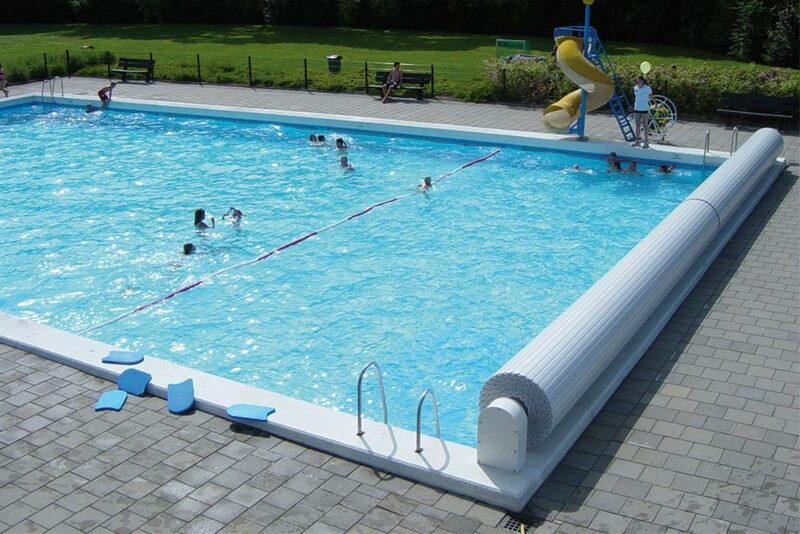 Therefore this lengthens the bathing season and considerably reduces the heating costs. 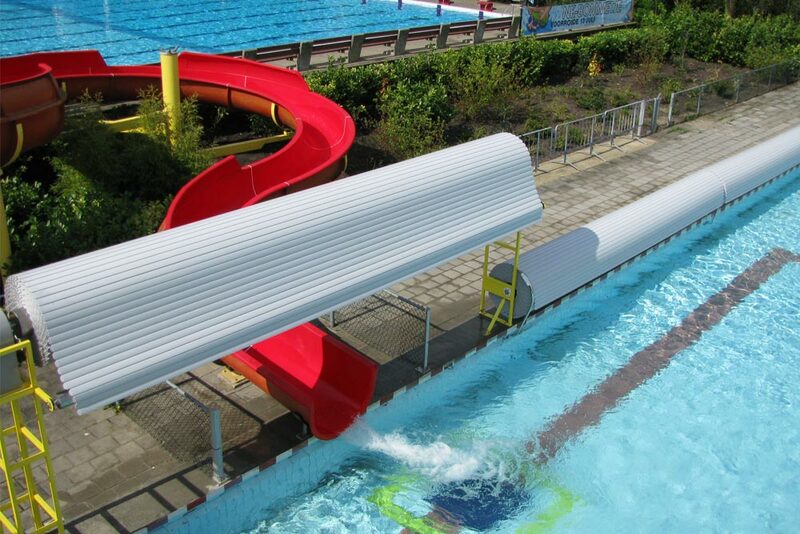 Installed in both indoor and outdoor spaces, in one or several parts which are always adapted to each project. The motors always have limit switches, with different finishes on the roll tubes and motor, sized for each project. 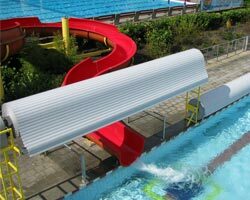 Lacquered anodised aluminium, stainless steel or galvanised structures. 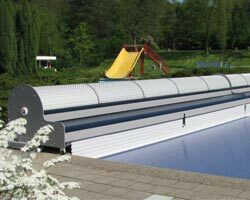 The importance of thermal covers on large sized pools and options for an easy and rational handling. 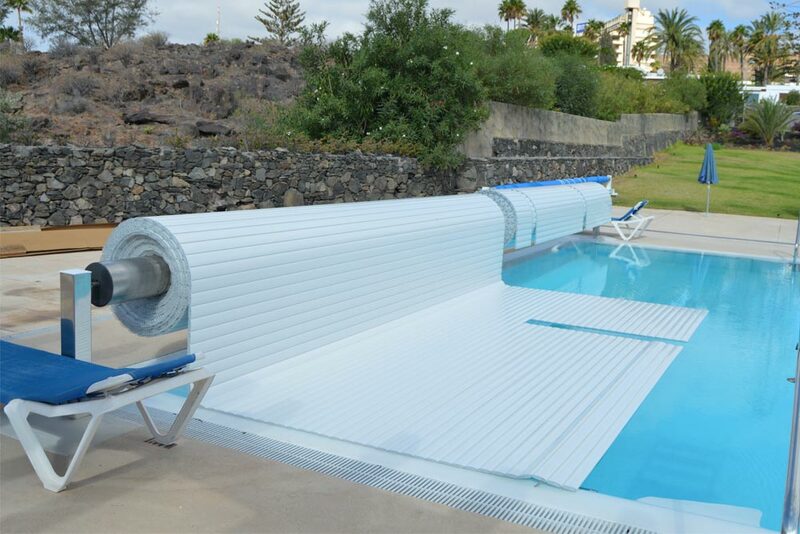 IASO's isothermal pool covers are a significant energy saver. 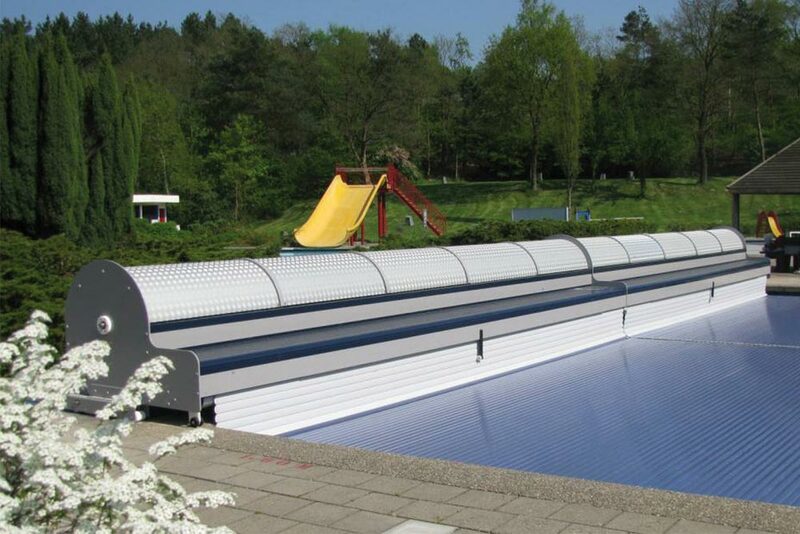 Floating on the surface of the water, they act as thermal barriers which, especially in heated pools, prevent water evaporation and the consequent loss of heat, maintaining a constant temperature which leads to a very significant energy saving. 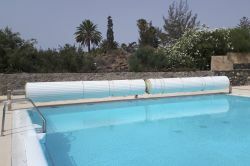 According to the current regulations (see the Technical Building Code [CTE] and Thermal Installation Regulations [RITE]), the temperature of the water must be between 26 and 28ºC. The temperature of the air must also be between 1 and 2ºC above the temperature of the water. The relative humidity will always remain under 65%. A relative humidity higher than 65% leads to an excessive rusting of the enclosures with their corresponding degradation and higher maintenance costs, as well as an unpleasant suffocating feeling for the bather, whereas a relative humidity lower than 50-55% leads to excessive evaporation, therefore increasing heating and water consumption costs. 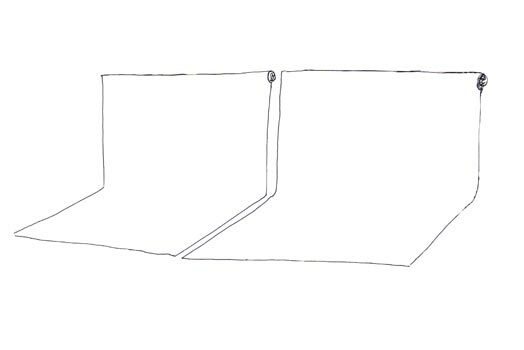 The use of this type of thermal barriers are required and regulated by the Thermal Installations in Buildings Regulation (RITE 1.2.4.5.5). Next, Royal Decree 1027/2007 is approved and enters into force, which constitutes a set of mandatory regulations. All IASO thermal covers meet the requirements of this regulation. The considerable energy saving intended for heating the water, both in indoor areas and outdoor installations, preventing evaporation and therefore the loss of heat in the water, which is maintained. 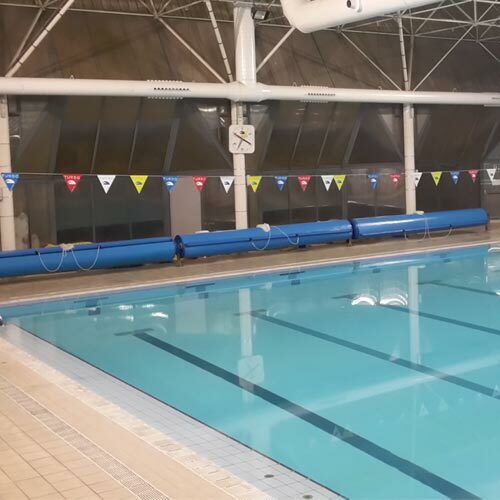 In indoor installations, during times of inactivity in the pool, they prevent the evaporation of water, reducing the use of dehumidifiers and air conditioning units. As an added condition, this factor reduces maintenance and increases the life of the installations due to damages from rusting and wear. It reduces the constant loss of water by evaporation, which also constitutes a saving to consider. It reduces the consumption of possible additional water treatments. It reduces the consumption of hydrocarbons and as a result, the emission of gases into the atmosphere. 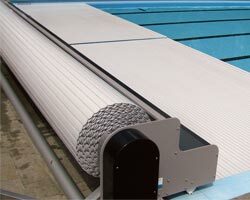 Economic performance: The use of an IASO isothermal cover can reduce the energy required for heating, whilst the cover is in service (which generally could be 12 to 16 hours per day), between 40% and 80% of the energy required for maintaining a constant usual temperature. 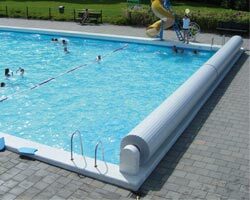 This value varies depending on the temperature, relative air humidity and the presence of wind on outdoor pools. It may also influence the insulation of the container vessel. All covers from the IASO range meet the requirements of the RITE (1.2.4.5.5). 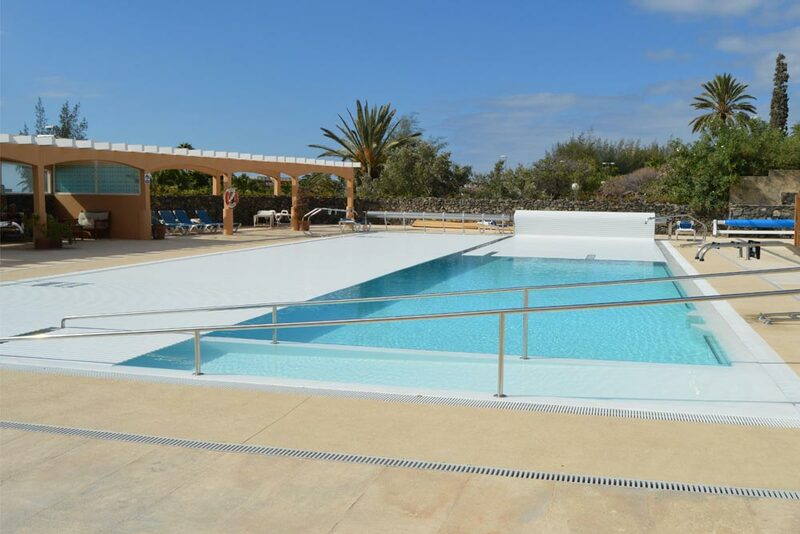 Among the extensive range of IASO covers there are significant differences: physical, functional; especially in handling, cost, performance and duration. 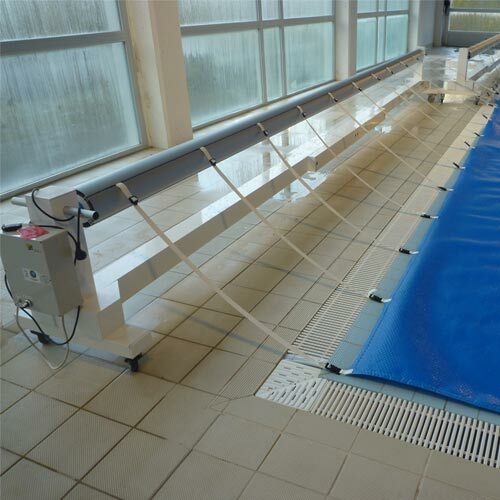 One or more may therefore be more suitable, depending on the needs of each installation. The IASO range is divided into two large basic types of material; – MOUSSE type and SOLAR type covers or thermal bubble. Range of IASO Rollers for manual or motorised thermal roller covers which solve the handling, collection, extension and storage of covers. IASO's technology is based on the personalised project for each installation. 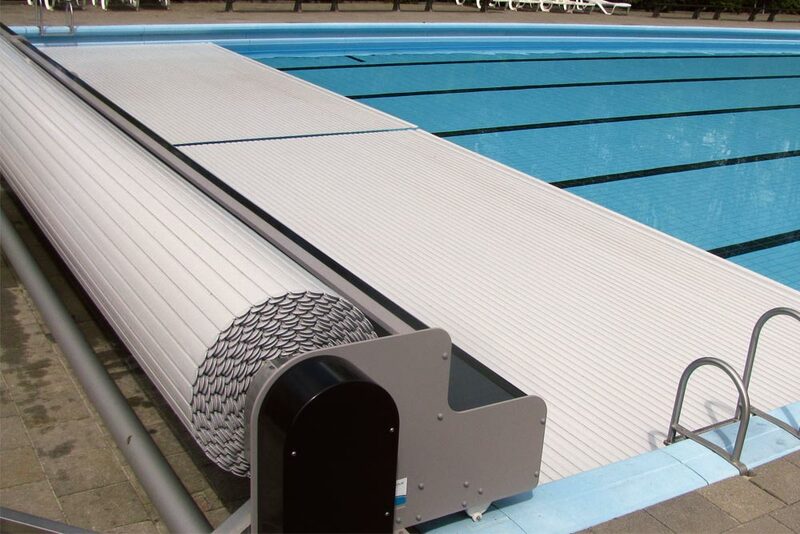 The rollers can be lacquered anodised aluminium, stainless steel or galvanised steel. Roll tubes and motors are sized for each type of installation. The motors always have limit switches, with an optional present man or keystroke remote control. All components meet the European Safety Regulations.